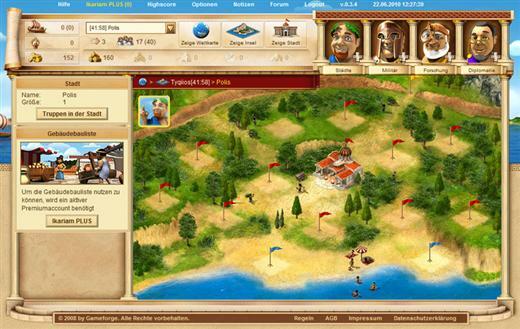 Ikariam is a free browser game. 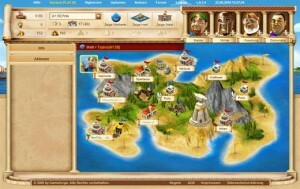 Your challenge is to lead a nation through the ancient world and to build towns, trade and conquer islands. Building Material, Wine, Marble, Crystal Glass and Sulphur. 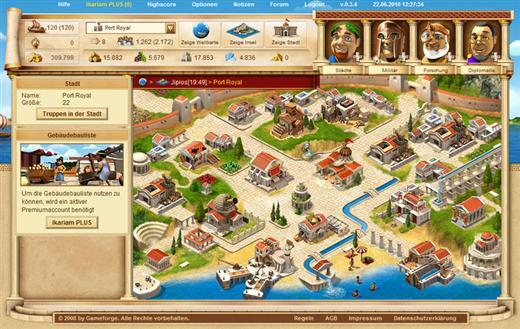 During the game you will definitely need a lot of building material – assign workers in order to get building material and expand the resource deposits together with the other players on the island! Start off by creating your town in a protected environment and gradually discover the countless opportunities in the world of Ikariam. Ikariam is available in lots of languages each with its own server.